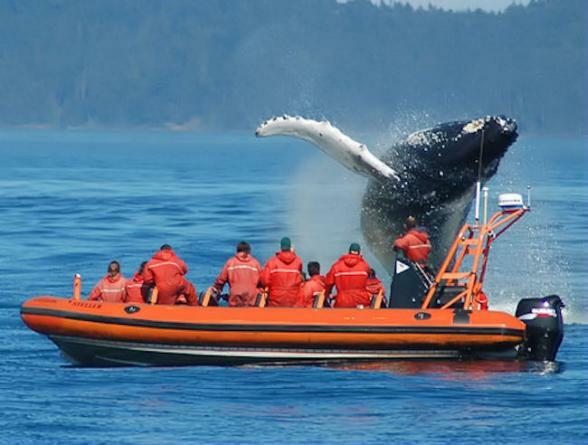 Take an exhilarating boat ride in search of an array of whales such as grey whales, orcas and minke whales plus other marine wildlife in Victoria. 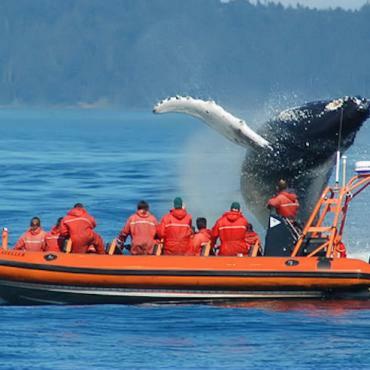 Board a costom-built zodiac boat that offers high speed with extraordinary stability giving you an exciting, safe and intimate whale watching experience. A certified marine biologist and naturalist will be on-board so you don't miss out on any of the marine life. (Full-length cruiser suits are provided on the Zodiac).